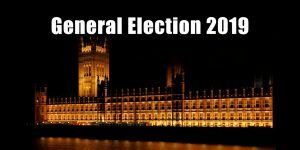 Five Giant Challenges is part of the Conservative Parties 2017 General Election Manifesto. Like generations before us, we are living through a time of profound national change. At such moments, our country requires strong and stable leadership that is capable of taking the right long-term decisions for the United Kingdom’s future security and prosperity. Since the referendum result last summer, that is what the government has delivered. Despite predictions of immediate financial and economic danger, we have seen confidence remain high, record numbers of jobs and economic growth that has exceeded all expectations. A new Conservative government will stick to the plan that has delivered stability and certainty. Over and above this plan, we know that we need to take the right long-term decisions for our future security and prosperity. In doing so, we will make sure that Britain not only meets the challenges of the future but grasps the opportunities these challenges present. 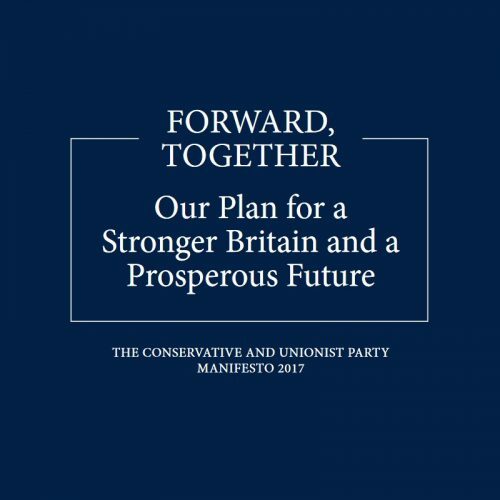 This manifesto offers our vision for Britain not just for the next five years but for the years and decades beyond. It is a programme for government but it is also a declaration that we intend to achieve what few governments even attempt: we will take the big, sometimes difficult, long-term decisions that are right for our future and for future generations. For at this moment of national change, we believe that Britain faces five giant challenges, each of which requires strong leadership, concerted effort and intelligent policy to address. 1. The need for a strong economy. We need to make the most of our existing strengths, invest in infrastructure and people, and ensure that the whole of our economy across the whole of our country can grow. Without a strong economy, we cannot guarantee our security, our personal prosperity, our public services, or contented and sustainable communities. 2. Brexit and a changing world. We need to deliver a smooth and orderly departure from the European Union and forge a deep and special partnership with our friends and allies across Europe. As there is increasingly little distinction between domestic and international affairs in matters of migration, national security and the economy, Britain must stay strong and united – and take a lead in the world to defend our interests. 3. Enduring social divisions. For too many people, where you end up in life is still determined by where you were born and to whom. We need to make sure that everyone has the opportunity to make the most of their talents and hard work, whoever you are and wherever you are from. 4. An ageing society. We need to respond to the reality of an ageing society, giving people security in old age and caring for those with long-term health conditions, whilst making sure we are fair to younger generations. 5. Fast-changing technology. For the sake of our economy and our society, we need to harness the power of fast-changing technology, while ensuring that our security and personal privacy – and the welfare of children and younger people – are protected. If we do not take decisions now to address these challenges, our country risks becoming weaker, poorer and less stable; but if we show leadership and grasp the opportunities that these giant challenges present, Britain can emerge from Brexit, look beyond it and launch into the future with confidence. To do that, we will need to govern in the manner established by Theresa May since she became prime minister last year. We must reject the ideological templates provided by the socialist left and the libertarian right and instead embrace the mainstream view that recognises the good that government can do. Rather than pursue an agenda based on a supposed centre ground defined and established by elites in Westminster, we will govern in the interests of the mainstream of the British public. We will get on with the job and take Britain out of the European Union. We will restore the public finances and maintain economic stability. We will reduce and control immigration. We will be resolute in defending the country from terrorism and other security threats. We will also stand up to those in positions of power who abuse that privilege. We will run public services in accordance with their values as important local and national institutions. We will not only guarantee but enhance workers’ rights and protections. And we will develop our ambitious modern industrial strategy to get the economy working for everyone, across the whole of our nation. Under the strong and stable leadership of Theresa May, there will be no ideological crusades. The government’s agenda will not be allowed to drift to the right. Our starting point is that we should take decisions on the basis of what works. And we will always be guided by what matters to the ordinary, working families of this nation. As Theresa May said when she first became prime minister, the work of the government under her leadership will be driven not for the benefit of a privileged few but by the interests of ordinary, working families: people who have a job but do not always have job security; people who own their own home but worry about paying the mortgage; people who can just about manage but worry about the cost of living and getting their children into a good school. These families have been ignored by politicians, and by others in positions of power, for too long. Yet they do not ask for much: they want to get on with their lives, to do their best for their children, to have a fair chance. Under Theresa May’s leadership, they will no longer be ignored. They are the people to whom this manifesto is dedicated. They are the people who work hard every day and make this country what it is. And they are the people who deserve strong and stable leadership from a government that is determined to address the five giant challenges we face – and make the right long-term decisions for the future of the United Kingdom. To do that, we will need a state that is strong and strategic, nimble and responsive to the needs of people. While it is never true that government has all the answers, government can and should be a force for good – and its power should be put squarely at the service of this country’s working people. If we are going to keep our economy strong as the world changes, we will need government to play an active role, leading a modern industrial strategy to make the most of Britain’s strengths and take advantage of new opportunities – bringing secure, well-paid jobs to the whole of the country. If we are going to make sure Britain emerges from Brexit as a strong and united nation, we will need strong leadership and good government: to get the right deal for Britain in Europe, to strike new trade deals around the world and to make sure our economy is strong for the years ahead. If we want to overcome Britain’s enduring social divisions, we will need to give people real opportunity and make Britain the world’s Great Meritocracy. That will require government to take on long-ignored problems like Britain’s lack of training and technical education, as well as long-lasting injustices, such as the lack of care for people with mental health problems, and the inequality of opportunity that endures on the basis of race, gender and class. If we are going to cope with our ageing society and if we want to give security to people in old age while being fair to younger generations, we are going to need positive, active government that will deal with increased demand for social care, fund and improve our National Health Service and build more houses across the country. We will need to take sometimes difficult decisions that ask more of one generation in order to help another. If we are going to respond to rapid changes in technology, we need government to make Britain the best place in the world to set up and run modern businesses, bringing the jobs of the future to our country; but we also need government to create the right regulatory frameworks that will protect our security and personal privacy, and ensure the welfare of children and younger people in an age when so much of life is conducted online. Government alone cannot solve every challenge our country faces. Without business and enterprise, there would be no prosperity and no public services. Without the obligations and duties of citizenship, society would not function. Without individual responsibility, nothing can be achieved. But for a country to remain stable, an economy to be strong, a society to stay healthy, we need a partnership between the individual and the wider nation, between private sector and public service, and the strong leadership only government can provide. We believe these things not despite the fact that we are Conservatives but because we are Conservatives. True Conservatism means a commitment to country and community; a belief not just in society but in the good that government can do; a respect for the local and national institutions that bind us together; an insight that change is inevitable and change can be good, but that change should be shaped, through strong leadership and clear principles, for the common good. We know that our responsibility to one another is greater than the rights we hold as individuals. We know that we all have obligations to one another, because that is what community and nation demands. We understand that nobody, however powerful, has succeeded alone and that we all therefore have a debt to others. We respect the fact that society is a contract between the generations: a partnership between those who are living, those who have lived before us, and those who are yet to be born. If we allow ourselves to be directed by these principles, if we have strong and stable leadership, and if we address the five giant challenges faced by Britain, we believe that the future of our country is a bright one. We are already the fifth largest economy in the world, the biggest recipient of foreign investment in Europe and the fastest growing economy in the G7. We have three of the world’s top ten universities and, despite forming less than one per cent of the global population, we boast more Nobel Laureates than any country other than America. We have the finest intelligence services and hugely respected armed forces that can project power around the globe. We have the greatest soft power of any nation, we sit in exactly the right time zone for global trade, our capital city is the global capital of finance and culture, and our language is the language of the world. to seize the opportunities of changing technology, while ensuring that our security and personal privacy – and the welfare of children and younger people – are still protected. Britain is a great nation. We have a glorious history but we believe that our best days lie ahead of us. With this plan to tackle the five giant challenges we face, with our proposals to establish a stronger Britain and a prosperous future, we will, as a nation, go forward, together.